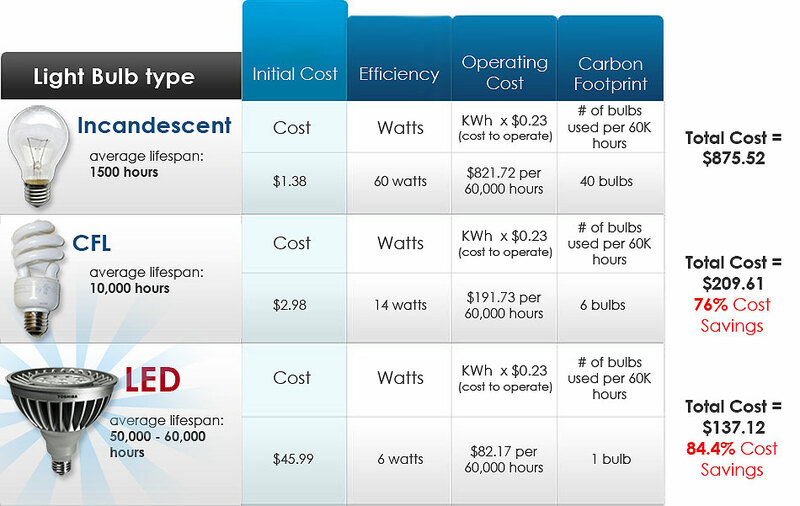 Save Hundreds of $$ on your energy bill by changing to LED lights. LED lights are the smarter option if you want a long-term lighting solution that is also environmentally friendly. LED lights reduce your energy usage, will cut down your electricity bills and a high quality LED will brighten up your house for up to 20 years. Most people don’t know, but inefficient lighting can contribute to over 30% of a household’s electricity bill. By replacing the traditional lightbulb with an energy efficient and cost-effective Light Emitting Diodes (LED) lights, you can reduce ongoing electricity bills and your carbon footprint.